During a very busy summer for Clear View, we have been involved in many projects which have not only been doors or windows but other impressive features which allow us to show our creativity. 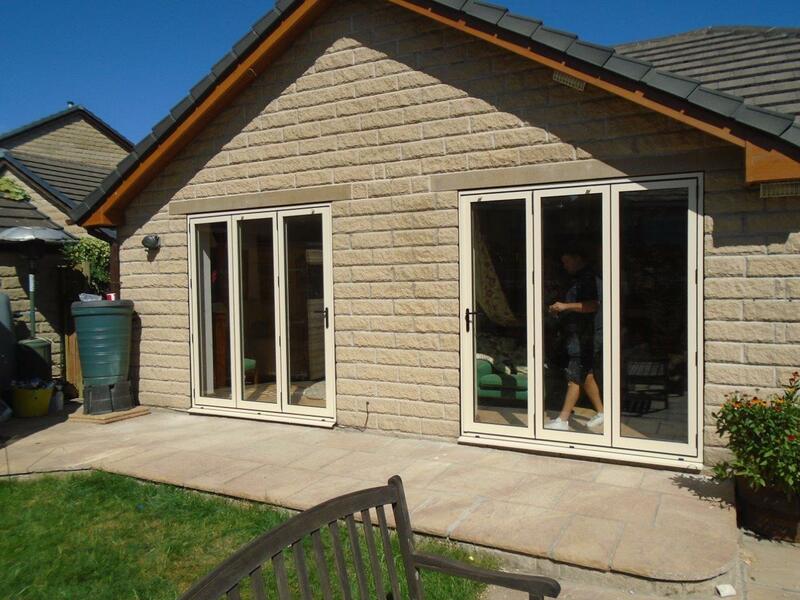 A homeowner in Chester contacts us during the summer as he required a 3-pane aluminium bi-folding door, with a static panel on the corner and a small aluminium window for his summer house at the rear of his property. 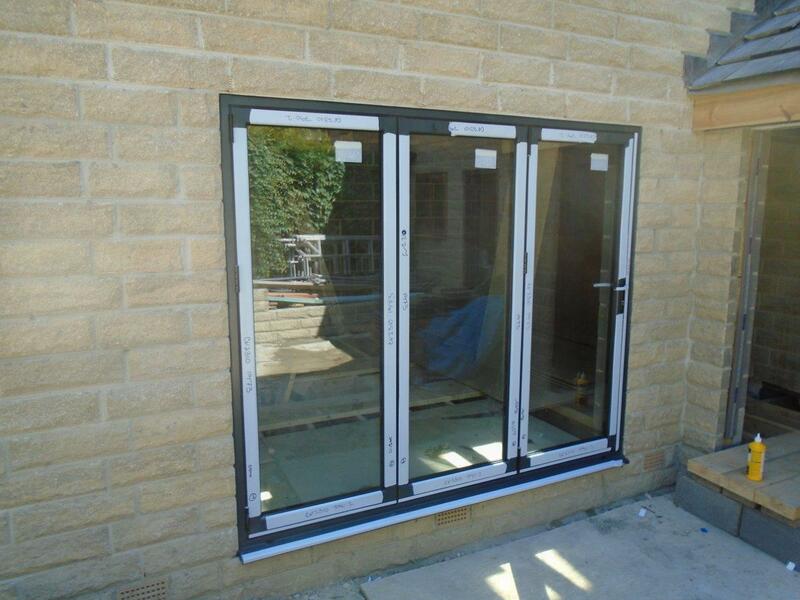 The 3 pane aluminium door is a total of 3590mm in size and uses the AluK GB BSF70 out frame all around. As the garden is south facing, this allows for large amounts of light to enter the summer house creating an invigorating space to entertain guests. To help create that seamless living between his garden and the summer house, these bi-folding doors which are on the long side of the building are then attacked in an L-shaped formation to a static Glass pane. This then gives the impression of a complete section of clear glass which allows large amounts of light into the building. It also perfectly creates the idea of a glass wall! To aid with light into the building a small glass window was also added to the same side of the building as the aluminium door. This is at head height and really complements the whole arrangement. All the glazing is of the highest of standards and has a 4mm toughened outer, 20mm argon filled cavity and a 4mm toughened low-e inner. This is high efficiency glass and 4mm float glass is used for the small window. This will create great energy saving benefits with the glass helping to keep the warmth out in the summer and the warmth in during the winter months, reducing energy bills on cooling and heating the summer house. To really finish off the whole building, the aluminium frames were powder coated in the following colours: Aluminium extrusions are extruded using alloy 6063 T6 to BS1474: 1987; Polyester powder coating complies with BS6496: 1984. This compliments the colour of the building superbly. 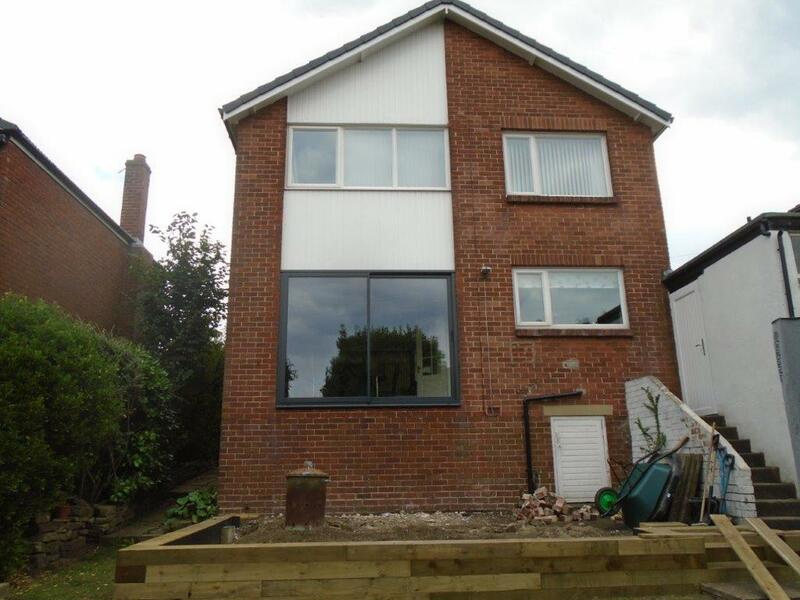 This is one example of how aluminium windows and doors can be used to really bring to life your home or a feature of your estate such as a summer house. If you are interested in any of our aluminium door products including sliding or patio doors, please do not hesitate to contact us on 0800 1357167.